"Installed!! Blue skies in the forecast in the foreseeable future. I am SO glad to be finished with this installation, and happy that it went well, finally. Thanks to all for the helpful advice. SPECTRALOCK PRO Grout is designed for use on ceramic tile, glass tile and stone applications, both residential and commercial. It can be used both interior and exterior on floors and walls. Ideal for re-grouting applications, SPECTRALOCK PRO Grout is perfect for swimming pools, fountains and other wet area applications. Click here for more info and to view an installation video. Can we interest you in a FREE sample? Call us on 1800 331 012 to arrange a demo, a sample, technical assistance or contact us here. LATICRETE Used in Service Dept. 900m2 of porcelain tiles are being laid in the Service Department at the new John Madill Toyota Dealership in Gympie, QLD. LATICRETE has a range of installation systems for tile and stone applications, including comprehensive System Warranties. Click here to view/download our Proven Installation Systems for Tile and Stone Applications brochure. Contact us to discuss your next project, request samples, arrange a demo or chat to our technical department by calling 1800 331 012 or contact us here. Charlie Maddox Tiling is using a complete LATICRETE system on the refurbishment of this pool in Surfers Paradise. 3701 Fortified Mortar Bed - click here for more information. HYDRO BAN® - click here for more info and to watch an installation video. 4237/PERMACOLOR® as the adhesive - click here for more information. 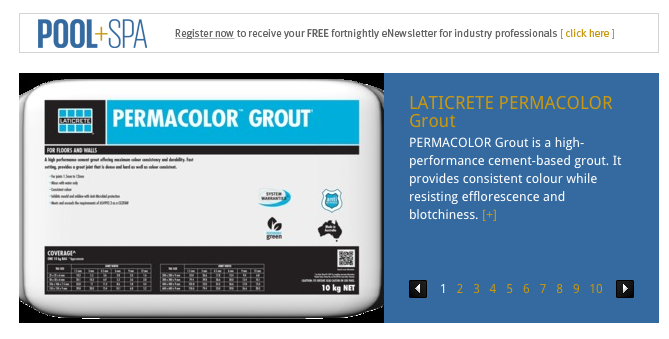 PERMACOLOR Grout - click here for more information. Click here to view the LATICRETE Pool, Spa and Fountain Tiling System Brochure. Contact us to arrange a demo, provide technical support or if you would like FREE samples by calling 1800 331 012 or email us here. Keep your eyes peeled for progress pics! Further to our blog on 23/10/2014, this innovative product is generating loads of interest in the market place. 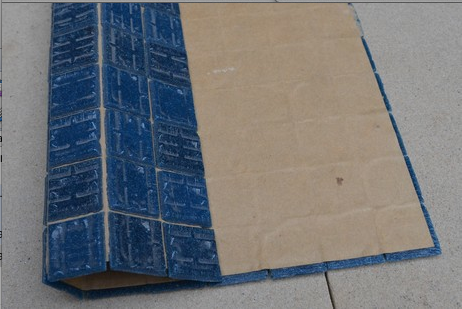 "The next generation high performance uncoupling underlayment for tile and stone floors. Ensures the lasting beauty and functionality of tiled floors. Prevents the main cause of cracked tiles." Click here to continue reading. Can we interest you in a demonstration and FREE samples? Contact us here or on 1800 331 012 for more information, arrange a demo or talk to our technical team and discuss your next project. Steve and his team at City Coast Tiling recently completed a new Michael Kors store at the recently finished Emporium in the CBD of Melbourne. This is now considered their flagship store in Australia. LATICRETE 335 Premium Flexible adhesive was used to adhere the stone tiles to the facade. 335 Premium Flexible Adhesive is a high performance thin-bed adhesive for installing a wide range of types of tiles and stone including low absorption ceramic tile, porcelain tile, natural and manufactured stone using thin-set method of installation. Click here for more information. Click here to view our comprehensive Commercial Flooring brochure. Contact your local LATICRETE Technical Sales Rep for technical advice, request your FREE sample or arrange a demo by calling 1800 331 012 or contact us here. 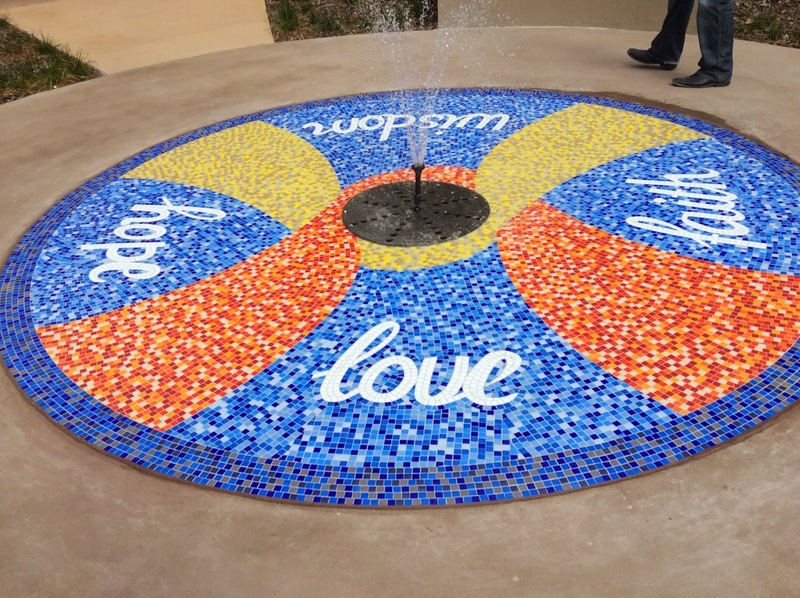 This wonderful 10m2 mosaic mural of "Love, Hope, Wisdom & Faith" was done using Trend mosaics and a full LATICRETE system at St. Vincent's Care Services St. Paul's Villa in Barden, QLD. 3701/226 - click here for more information. HYDRO BAN® - click here for more info and to view an installation video. Adhesive: LATAPOXY® SP-100 - click here for more information. Grout: SPECTRALOCK PRO Grout - click here for more information and to view an installation video. Click here to view our comprehensive LATICRETE Warranty brochure. Contact us for more information, technical support, arrange a demo, free samples by calling 1800 331 012 or contact us here. We Did it Again - Another Award! We are constantly working on finding solutions to accommodate evolving and changing job site construction techniques, materials and methods. The unique patent pending design of STRATA_MAT provides for an enhanced mechanical bond of the adhesive and provides for faster drying of the adhesive. This allows for faster installations and for shorter time to grout. 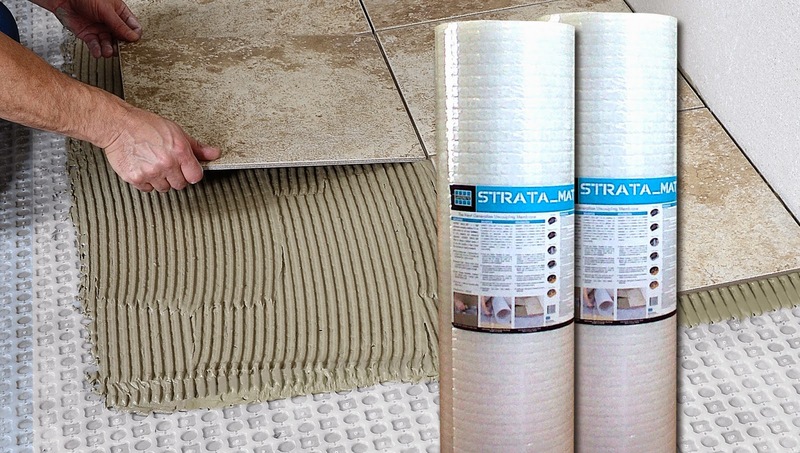 Specifically designed for use with the appropriate adhesive for the tile or stone being installed, STRATA_MAT allows for the proper adhesive to be used with porcelain or large format tiles as well as moisture senstive stone and agglomerate stones. Click here for more information on STRATA_MAT. Contact us on 1800 331 012 for more info or click here to email us. Paver Link™ IS the Answer! Paver Link is every landscapers dream - prevents the growth of weeds! Quick and Easy application - just brush it in. No watering required. Will not stain pavers. 7x stronger than basic polymeric sand. Want to know more? Click here for more product information. Contact your local LATICRETE Technical Sales Rep for more info, arrange a demo, your FREE sample by calling 1800 331 012 or contact us here. LATICRETE products are industry accepted, code approved and backed by 100% labour and materials system warranties, thereby assuring a successful installation each and every time. For the last 5 decades, the LATICRETE commitment to research and development has led the world in innovative ceramic tile and stone installation systems. 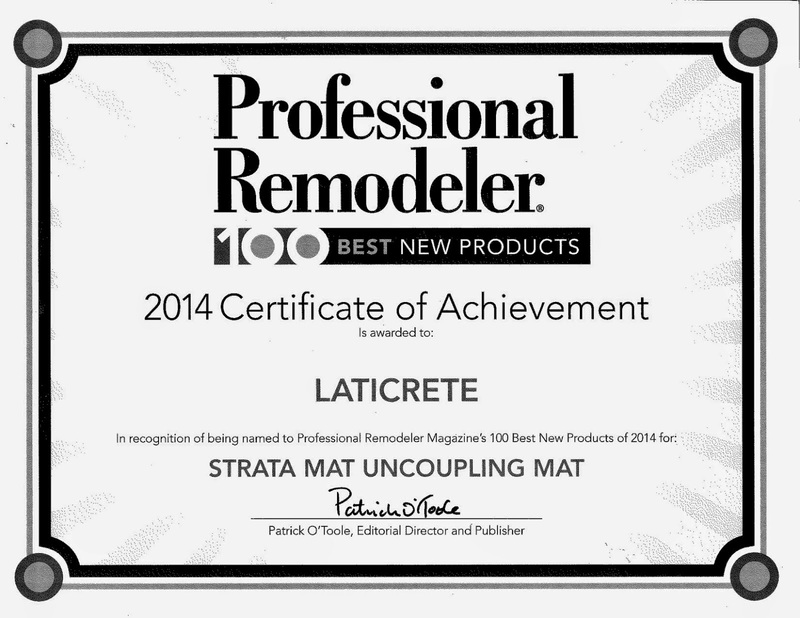 This technical track record is impressive, but it is our dedication to quality that has always made LATICRETE the professional's choice. 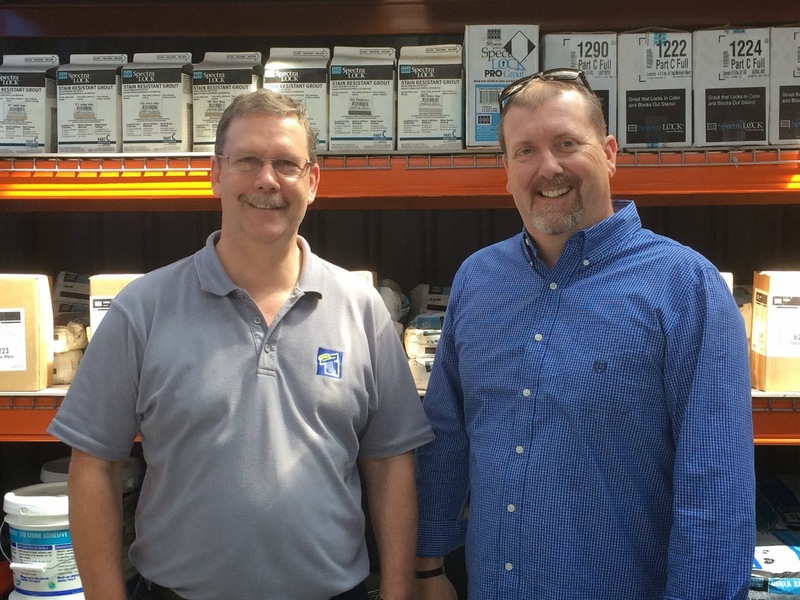 As we continue to grow in Australia, we are excited to announce the appointment of Mitchell Haw, who joins Warren Miller and Nick Collett as a Technical Sales Representative in QLD. 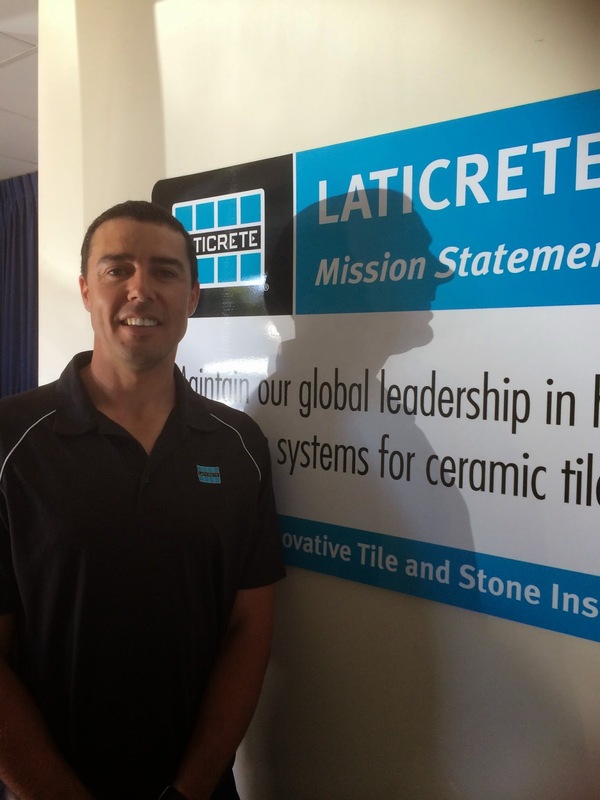 Mitchell has a background in tile installations and is a TAFE trained tiling apprentice. Mitchell also served in the Australian military, has a great love of the outdoors, hiking, rock climbing, SUPing and water skiing. 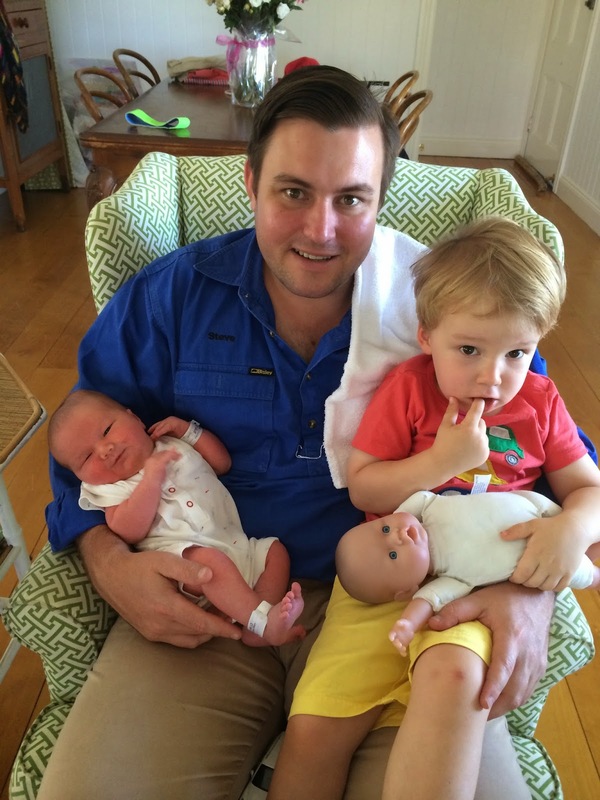 Mitchell and his wife Marni come from Victoria and have called Brisbane their home since 2008. Welcome on board the Latifamily Mitchell, we are excited about your appointment and we are confident your career with LATICRETE will be a long and successful one. Contact us on 1800 331 012 to arrange a demo, samples, customised specifications or for technical assistance, or contact us here. Steve from City Coast Tiling has given the MYER store in Garden City a make over. Steve tiled 3 500m2 with porcelain tiles using LATICRETE products. Doesn't it look great?! So what LATICRETE products were used to get this great look? 335 Premium Flexible Adhesive - is a high performance thin-bed adhesive for installing a wide range of types of tiles and stone including low absorption ceramic tile, porcelain tile, natural and manufactured stone using thin-set method of installation. Click here for more information. PERMACOLOR® Grout - offers the maximum performance available in a cement-based grout, providing consistent colour and antimicrobial protection to resist stain-causing mould and mildew. 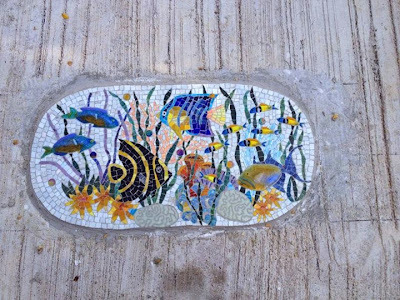 PERMACOLOR Grout is easy to install – just mix with water. 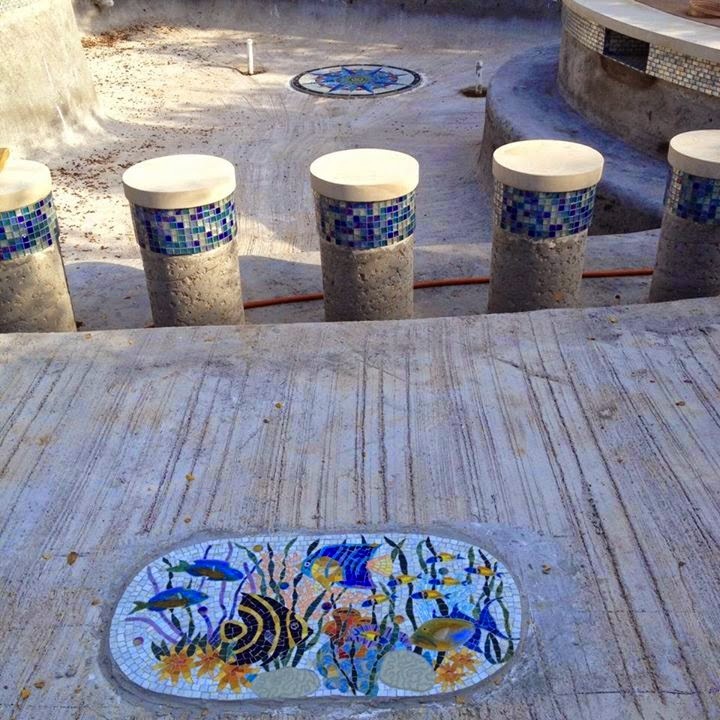 PERMACOLOR Grout is ideal for floors and walls in both interior and exterior installations. When you must use a cement-based grout, choose PERMACOLOR Grout. Click here for more information. Call us on 1800 331 012 for more information, request a demo, arrange your FREE samples or contact us here. Email received from Don Macdonald, on this beautiful mosaic mural. "The Design House, One Tree Group commissioned Symmetry Mosaics to bring the stunning beauty of Sarrita King’s urban Aboriginal style into the medium of mosaics. 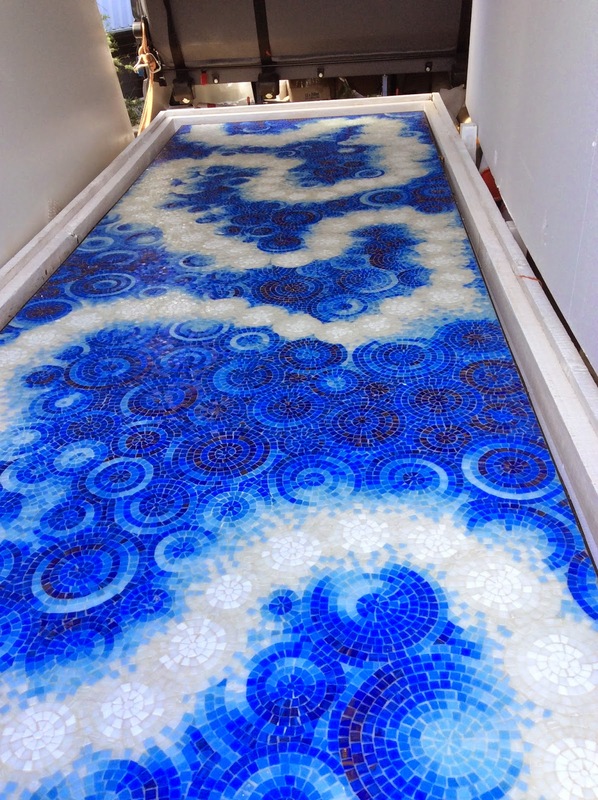 It is 3.0m long, 1.0m high and weighs just 51kg with over 30,000 hand-cut 10x10mm Bisazza glass mosaics. Up close the detail in the artwork is self evident and at distance the piece appears to be a painting, but in the sunlight, the subtle shade variations become more obvious and it gives the artwork life and a three dimensional perspective. 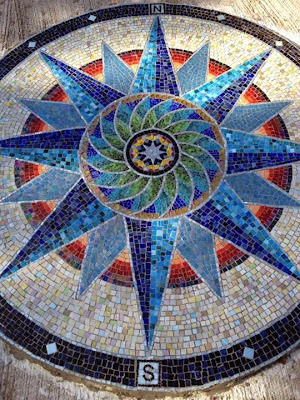 It is a micro mosaic in a macro application making it a truly fine-art piece. Setting aside the workmanship and beauty of the design, what is so unique about this artwork is its compelling message. It tells a timeless story of ‘connectedness’ from the original inhabitants of this ancient land for our modern world. The centre of each of the circles represents each of us and how we are surrounded by family and friends, experiences and events and each of these people and happenings blend into other people’s families and events. As you step away from one circle and see how all the others circles are interlinked you begin to understand how all things are connected. And then, you see how the river of life flows through all of our lives and experiences, like the life bringing waters of a meandering river in the outback. This piece is our first promotional artwork and is the beginning of a creative collaboration between One Tree Group and Symmetry Mosaics. I’ll keep you posted with our other very exciting projects as they are completed. Don used LATAPOXY® SP-100 as the coloured epoxy adhesive - is a stainless, pigment free, colourfast epoxy grout for grouting floor installations of ceramic tile, brick, and stone. Cleans with water while fresh. Can be used for interior and exterior applications. Ideal for kitchen floors, counter tops, bathroom floors, malls, cafeterias, and laboratories. Click here for more information. Contact us to arrange a demo, discuss your project or for technical assistance by calling 1800 331 012 or email us here. The above images are from a Simonds display home in Rochedale, QLD. Gorgeous - I'm sure you would agree! Murray Heazlewood from SEQ Tiling and Cladding, used MVIS™ - Masonry Veneer Installation System on this project. MVIS Veneer Mortar - click here for more information. 3701 Mortar Bed - click here for more information. The installation of a recreational or therapeutic pool is a big investment for a community, health, commercial or domestic consumer. The investment has to be sound in that it will provide years of service for its intended function with minimal running and maintenance costs. The right choices made at the time of design and construction will pay big dividends in the overall cost to maintain the pool over its design life. Given in-ground concrete pools should have a life span of more than a few decades or longer, you should plan on the pool interior lasting just as long, especially given its exposure to varying degrees of water balance and chemical concentrations. The consumer is presented with many options when having a pool installed and it is important to recognise that some pool interiors may have significant repercussions on the economic life of the structure. Some interiors have relatively short lie spans and require renovation sooner than you would like; some are porches and susceptible to chemical attack or staining and require more attention to water chemistry than normal; some can be easily damaged resulting in costly repairs; or some are just plain hard to look after and require a lot more attention than others. Read more. Click here to view/download the LATICRETE Swimming Pool System Warranty Brochure. View/download the LATICRETE Pools, Spa and Fountains Tiling System Brochure. For more information call your local LATICRETE Technical Sales Rep on 1800 331 012 or contact us here. Over 50 years of LATICRETE history is shaped by numbers industry firsts. Among the many pioneering achievements. 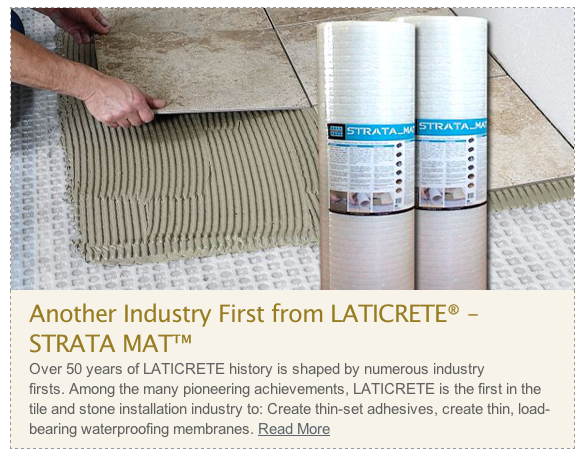 LATICRETE is the first in the tile and stone installation industry to: Create thin-set adhesives, create thin, load bearing waterproofing membranes. Read More. Contact us for more information, chat to your local LATICRETE Technical Sales Rep, request samples or arrange a demo by calling 1800 331 012 or email us here. Come by our booth - talk to the team, find out how our innovative products, installation systems and warranties for tile and stone applications, will save in time and labour! James Baratta, Regional Manager, Speciality Products Division from LATICRETE International will present on "Preparing for the finish" on Wednesday, 29 October @ 13:45. Register so you don't miss out on this great opportunity! Click here for more information on this Expo, including presentations, guest speakers and the list of exhibitors. 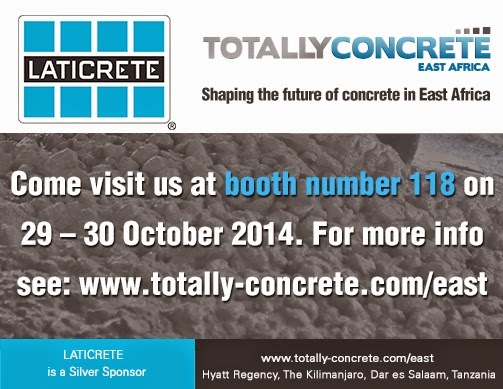 Totally Concrete East Africa, 29 - 30 October 2014 - Booth 118. A huge congratulations to Steven, (M.D from Niugini Link Pty Ltd) his wife Caroline and the "big brother" on their arrival of their bundle of joy, Angus Henry George Sinclair. 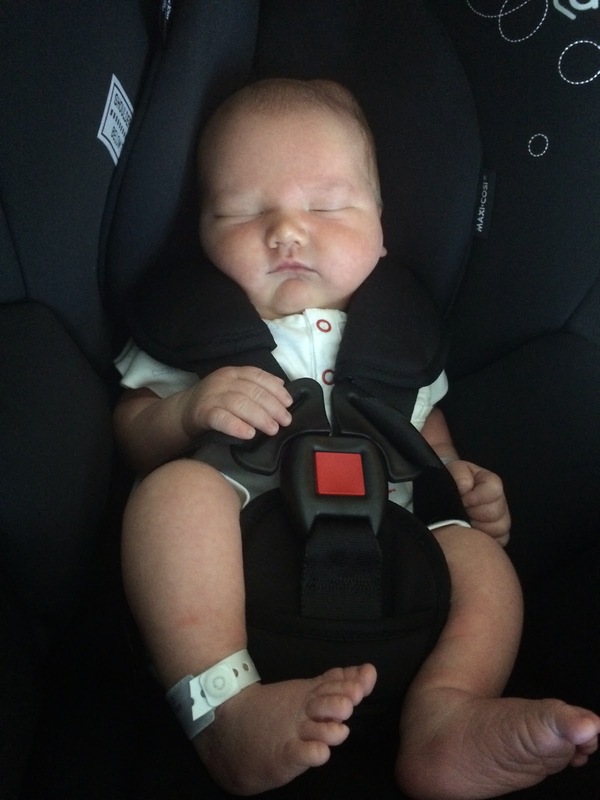 Angus was born on Friday 3/10/14 and weighs a very healthy 4.07kgs! On behalf of Caroline and the boys, thank you very much for your thoughtful delivery of flowers and card received today. They are wonderful and greatly appreciated. We brought him home today, what a great feeling! Your organisation is such a delight to be an extended part of, thanks again. 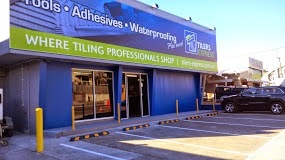 Phil and his team at Tilers Express in Woolloongabba, QLD are your local LATICRETE stockists. 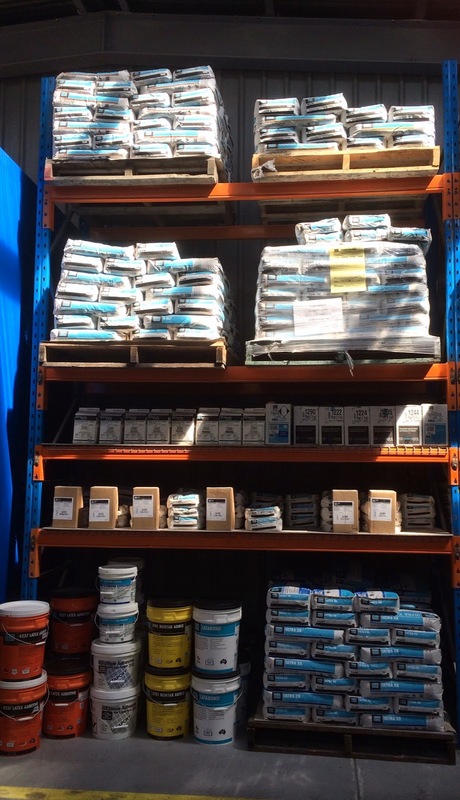 The team are knowledgeable on LATICRETE materials and provide great customer service. PERMACOLOR® Grout offers maximum performance available in a cement-based grout, providing consistent colour. No blotchiness, resists efflorescence. Antimicrobial protection to resist stain-causing mould and mildew. Easy to install – just mix with water. Fast setting. Ideal for swimming pools, floors and walls in both interior and exterior installations. Available in 40 lifestyle colours. When you must use a cement-based grout, choose PERMACOLOR Grout. Click here for more information. Contact us on 1800 331 012 or email us here for more information.